Studio portrait of 2581 Private (Pte) Leonard Chase, 32nd Battalion. A salesman from Adelaide, South Australia, prior to enlistment, he embarked with the 5th Reinforcements from Adelaide on 25 March 1916 aboard HMAT Shropshire (A9) for Suez. He then relocated to the 8th Training Battalion PT & BF [Physical Training and Battlefield Fitness] School during June 1916 and was promoted to Corporal (Cpl) and Acting Sergeant on 24 January 1917. 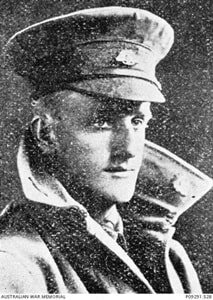 In July 1917 he proceeded to France and joined the 32nd Battalion on the Western Front reverting to the substantive rank of Cpl. Cpl Chase was hospitalised on 10 October 1917 with a bruised back but was able to rejoin his unit a fortnight later. In late November 1917 Cpl Chase was hospitalised with chronic arthritis and was evacuated to England. 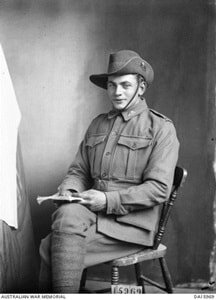 He remained in England for treatment and recuperation and was attached to Headquarters AIF Depots with the rank of Sergeant (Sgt). 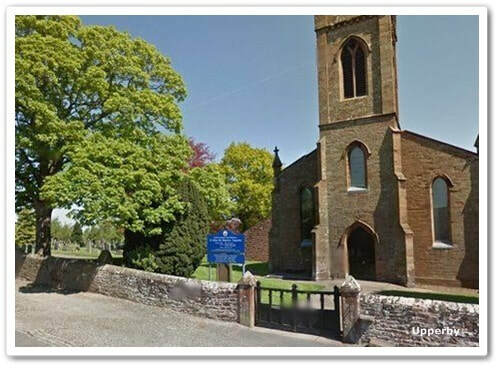 Sgt Chase was hospitalised with paraplegia on 3 July 1918 and died of this illness on 1 September 1918 in the Fusehill War Hospital, Carlisle, Scotland. He was aged 25 years. Studio portrait of 6282 Private (Pte) William James Hodgkinson, 5th Battalion. 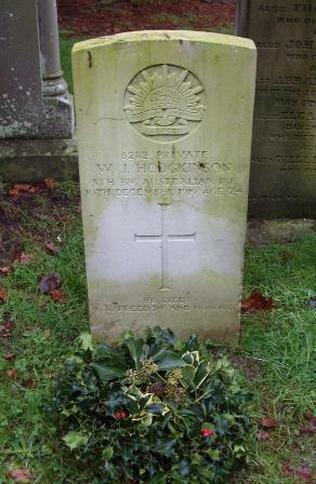 Originally from Workington, England, Pte Hodgkinson was a farmer from Poowong, Victoria prior to enlistment and embarked with the 20th Reinforcements from Melbourne on HMAT Euripides on 11 September 1916. 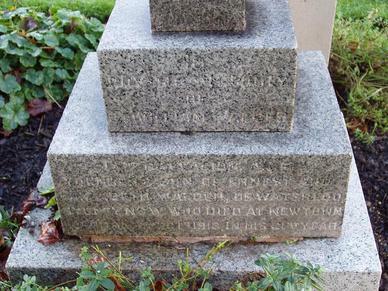 Whilst serving in France he was wounded in action and evacuated to England. On rejoining his unit he was gassed and once again evacuated to England. Following the Armistice he was declared an illegal absentee but was later discovered to be seriously ill in St Bartholomew's Hospital, Smithfield suffering from phthisis and empyema probably caused by mustard gas. 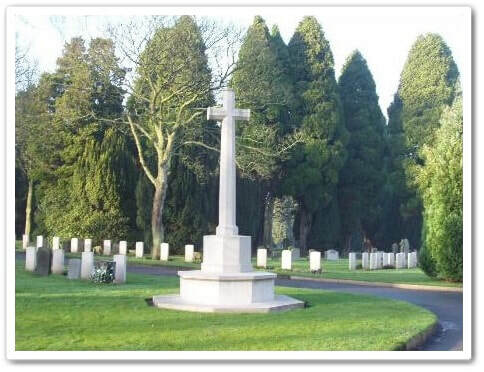 On 10 December 1919 he succumbed to his illnesses and was buried in the Carlisle (Upperby) Cemetery, England.